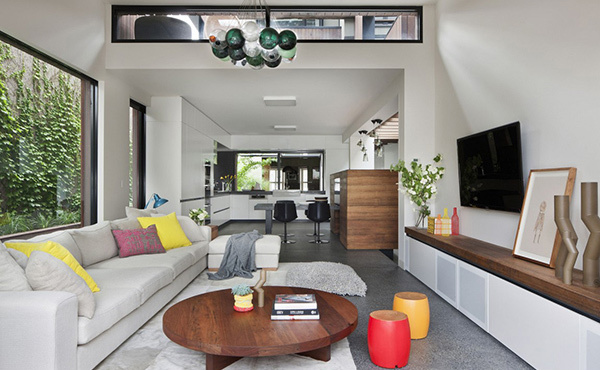 A young family from Fitzroy, Australia wanted to refresh some aspects of their life and they did that by remodeling and upgrading the look of their house. 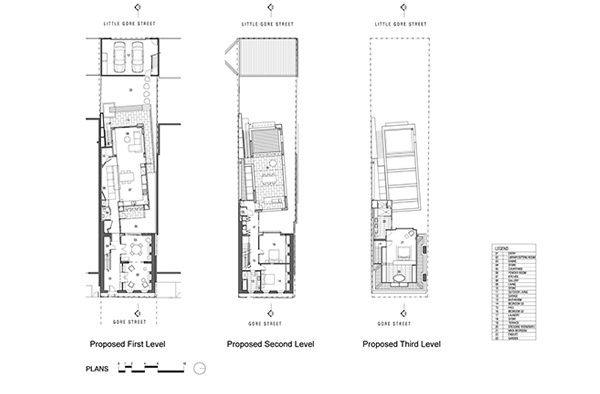 The interior combines old and new elements for the living, social and working spaces. It integrated artworks and personal items that has sentimental value to reflect boldness and character in the interior. Three levels of new living spaces were added to the home. Aside from this, glass panels were used in lieu of old windows. 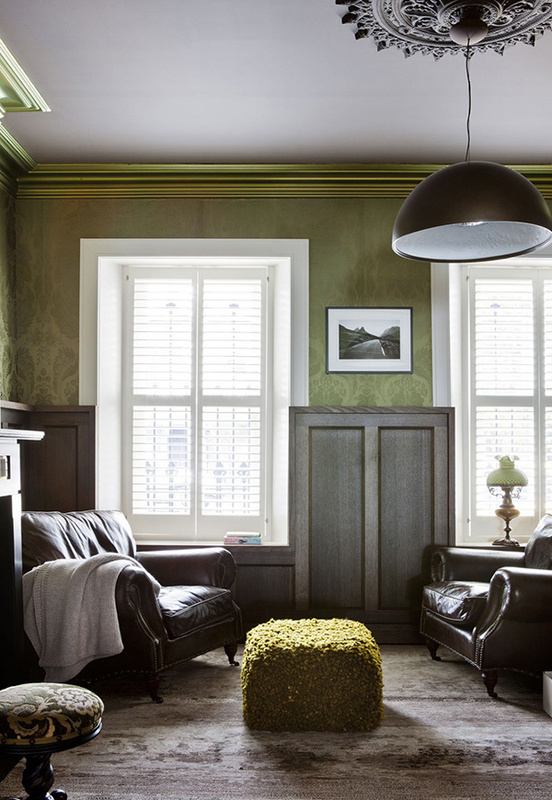 The resulting interior is playful and showcase vitality and color seen all throughout the house. There are modern add-ons on the space but it did not cover up the sentimental elements in the house. 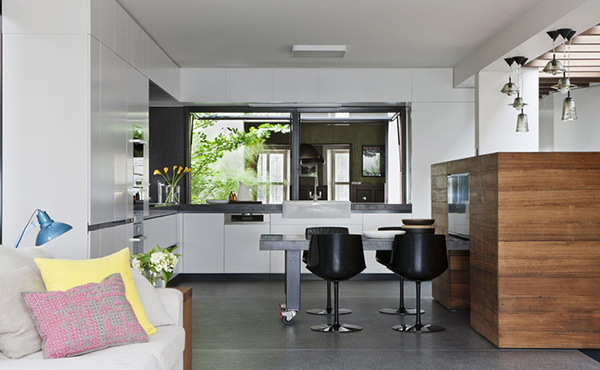 A good choice of fabrics and textures also helped to enhance the interior of the Fitzroy House in Australia. Now, it is time to let you see the images of the house. Scroll down and take a look at its beauty. 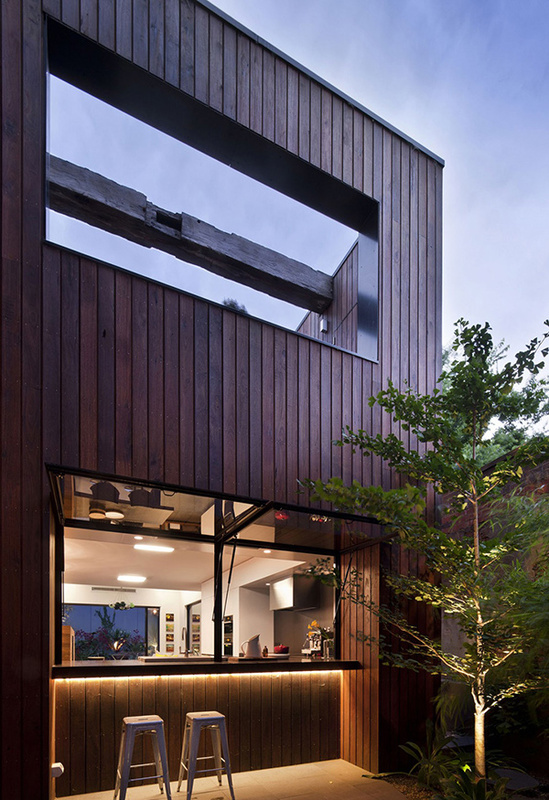 Sleek lines are seen in the exterior of the house as it use wood and other materials in it. What could be more exciting than having a bar like this? It is like you’d order from a commercial bar! Subtle pops of colors are added to this space through the ottomans and throw pillows. We’d guess that is a poster one of the homeowners love but yes, it looked just perfect in the area. Seen here are books for the home library. What an interesting ottoman that is! 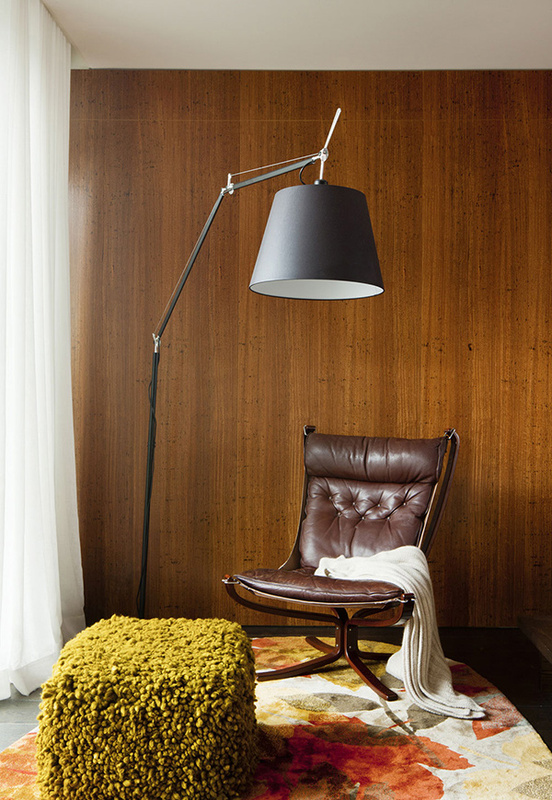 Note the traditional elements in this space from the lamp to the furniture. The colors of the area rug bring more life to this comfy sitting area. When black and white is combined, nothing can go wrong! 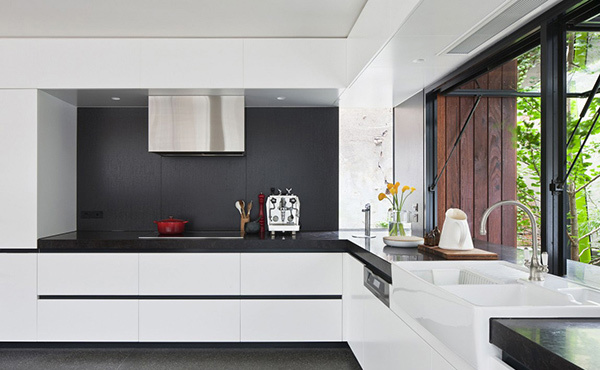 The kitchen has a dining area that is connected to that cube thingy in wooden materials. You can see the closer details of the kitchen here. Note that lovely ceramic sink! 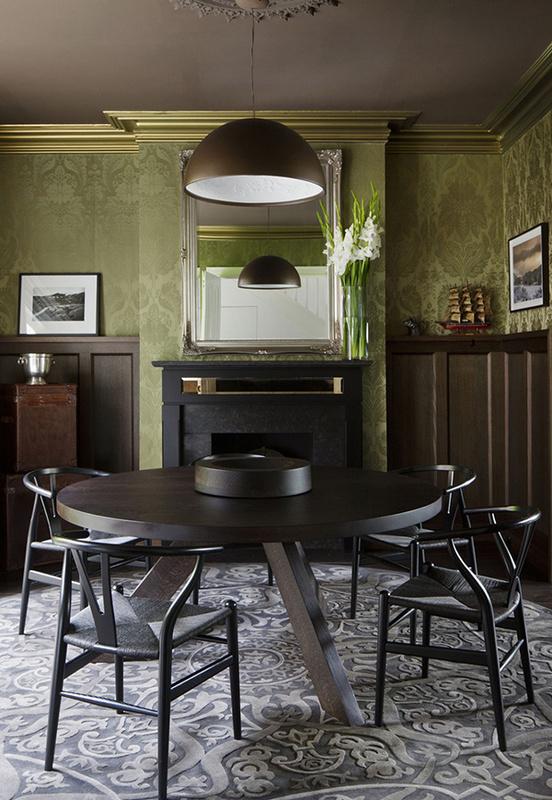 Patterned wallpaper and moldings made this dining area look formal but the modern furniture it in created a different aura. 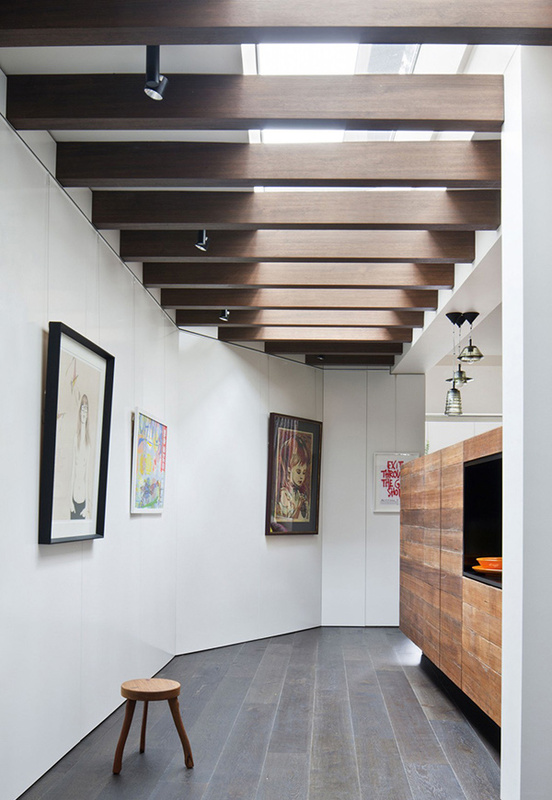 The wooden trellis above sends in ample sunlight to this space with a variety of framed artworks. 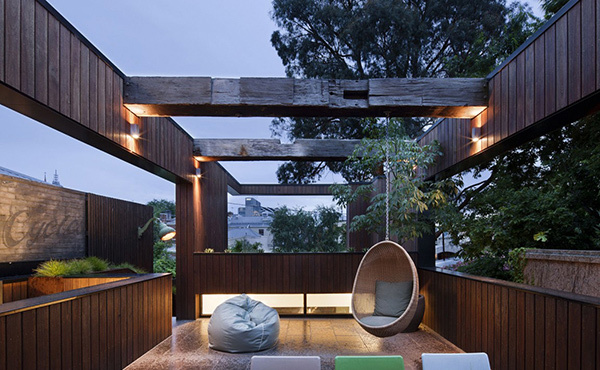 A wooden terrace a place to love especially fi it has all these lights and that swing chair! You can see here the floor plan of the house which shows you how the functions were distributed. 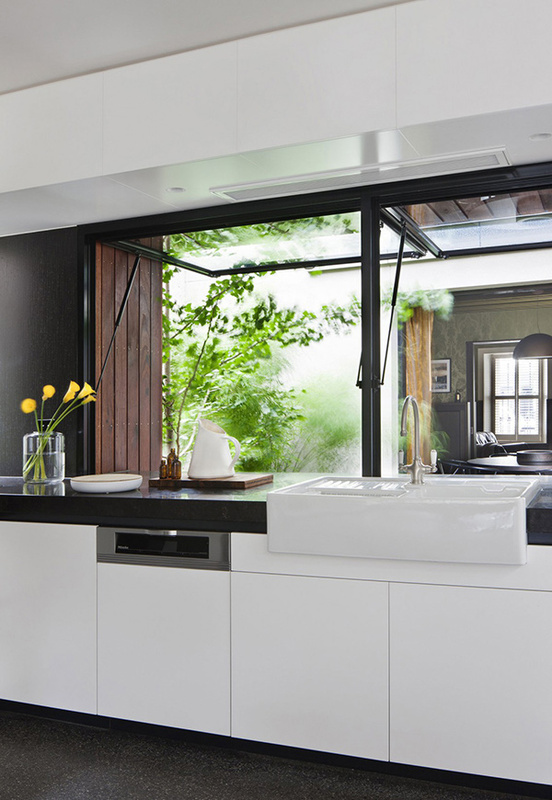 The Techne Architects added a definition about the house: “Built behind the heritage façade of a landmark property in Melbourne’s Fitzroy, this project retains and restores the original frontage while adding a rear addition with three levels of new living space. 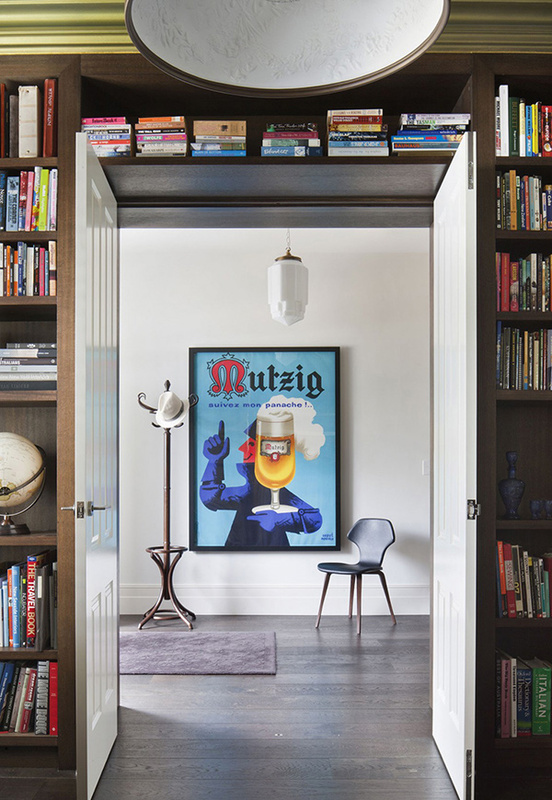 Conceptually, the design deals with the intersection of the old and the new through differing modes of visual connection and threshold.” All in all, this is indeed a lovely and cozy nest for the family to stay in. 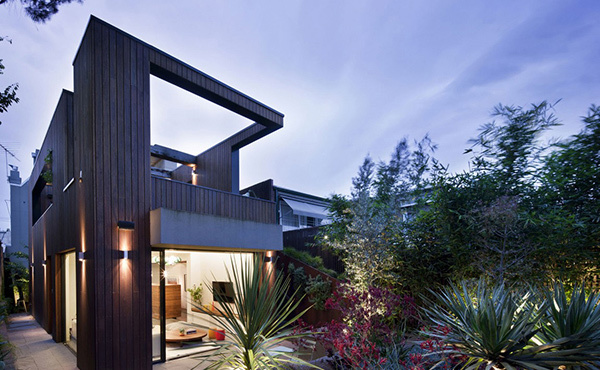 We especially love how the interior was arranged as well as the terrace.